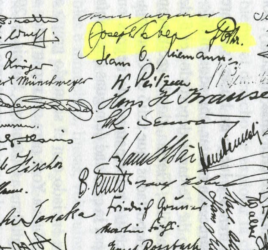 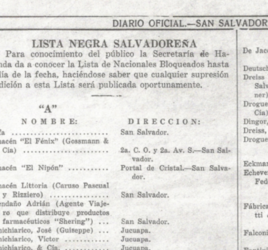 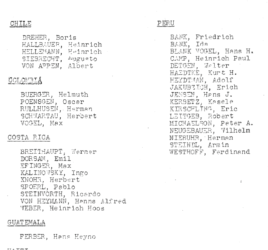 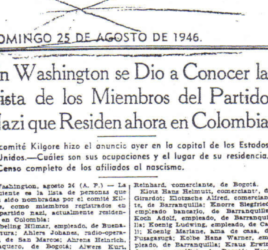 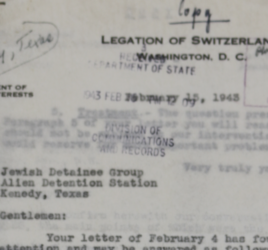 Were Jews interned by the U.S.? 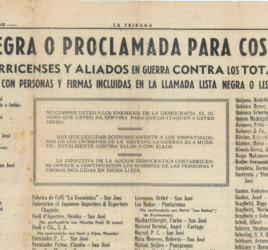 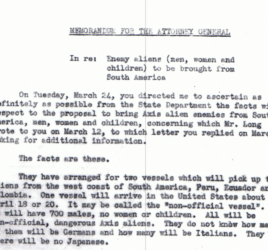 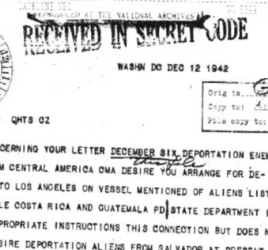 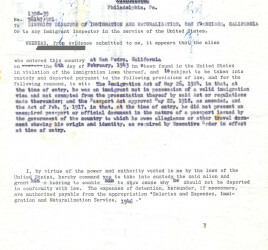 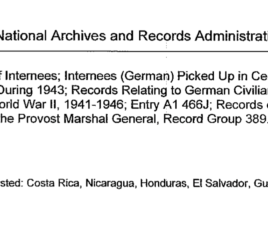 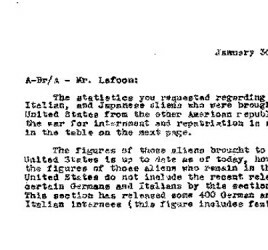 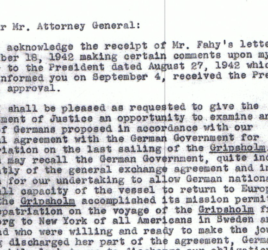 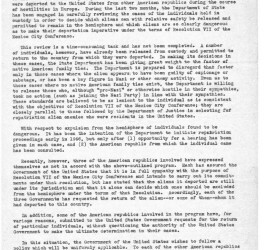 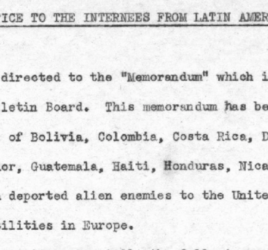 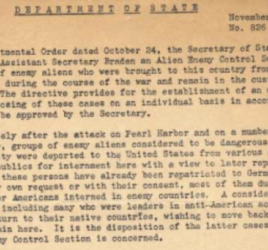 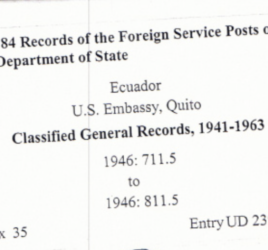 3 Nov 1942, Memo: Policies of Deportation to U.S. and Repatriation. 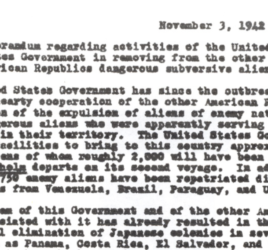 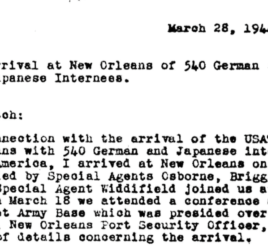 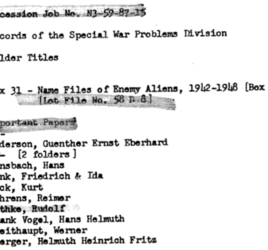 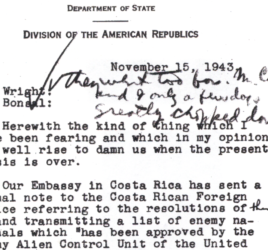 Determining "Dangerousness"
9 Nov 1942, Hull to Biddle Memo: Discusses Problems with Repatriation Process. 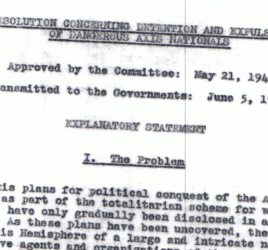 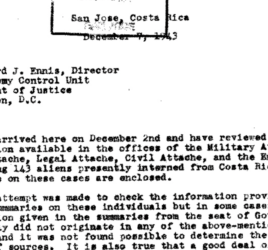 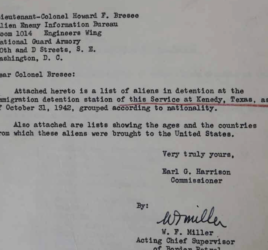 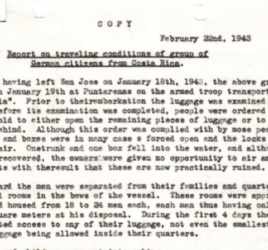 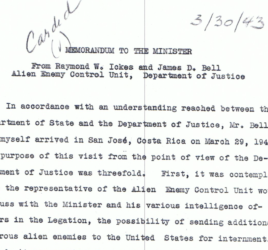 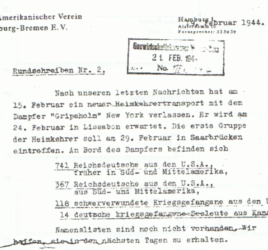 Bell to Ennis Memo, 7 Dec 1943 : Discusses Evaluation of Internees' "Dangerousness."